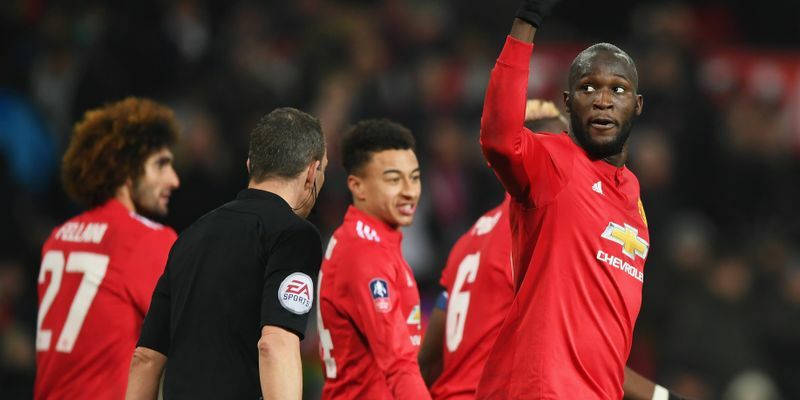 Jesse Lingard proved his worth for the team yet again while Romelu Lukaku scored on his return from injury to seal a 2-0 FA Cup third-round win over Derby County at Old Trafford. Paul Pogba dominated the midfield in the early stages but both the teams failed to score in the first half of the game and most of the part of the second half also remained goalless. England midfielder Lingard let fly from outside the area with six minutes remaining for his fifth goal in his past six outings to finally open the goal tally. It was a huge relief for a United side and half-time substitute Lukaku sealed the win in the closing stages after playing a one-two with Anthony Martial. Rams keeper Scott Carson showed excellent performance as he made eight saves, including brilliant stops to keep out Juan Mata and Paul Pogba free-kicks. Virgil van Dijk didn’t waste any time and immediately began repaying his massive £75million transfer fee as he scored in Liverpool's win in a 2-1 FA Cup third-round victory over Merseyside rivals Everton and sent the reds in the fourth round. Mason Holgate's tangle with Adam Lallana gave a chance of penalty and James Milner opened the score tally for Liverpool and the team got the lead 10 minutes before half-time. Gylfi Sigurdsson's smooth finish from the edge of the area helped Everton equalize the game in the second half. The former Southampton star, who this month became the world's most expensive defender, headed in the decider six minutes from time at Anfield.